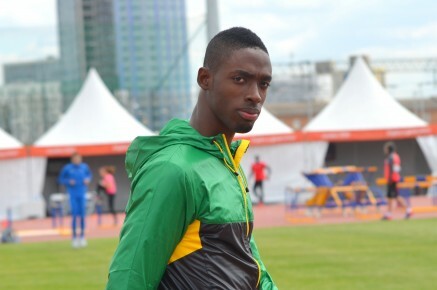 World Championships 4th placer Kemar Bailey-Cole (JAM) again showed his potential by winning the 100m in the ISTAF meeting in Berlin. The Glen Mills coached athlete clocked a time of 10.04 secs to win clearly from Kim Collins (10.15) and Jay Saidy Ndure (10.17). KBC has a good record in Berlin’s Olympiastadion having won this race last year also. Next up for the 21 year old is the IAAF World Challenge meeting in Zagreb followed by the Memorial van Damme meeting in Brussels. At the Decanation meeting in Lyon, France Shannon Rowbury (USA) placed 3rd in a tactical 1500m. Next up for the San Francisco runner is an 800m in Zagreb and 1500m in Brussels.